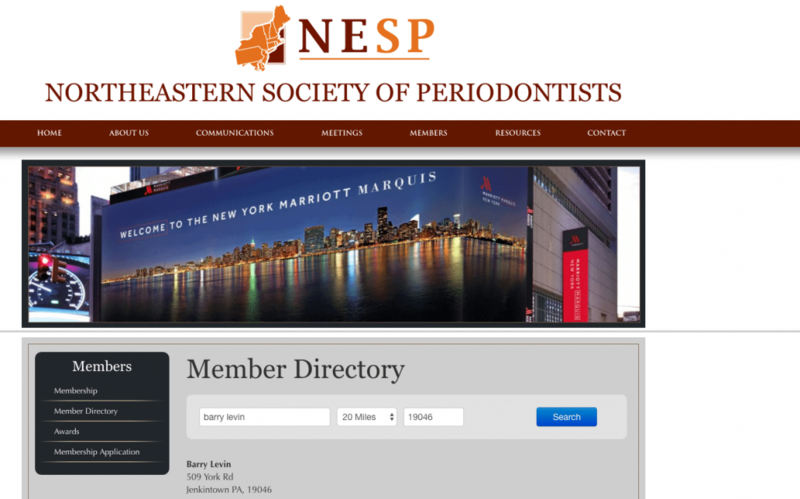 As one of the top periodontists in the Eastern Montgomery County area, Dr. Barry Levin is constantly researching, practicing and educating others on his work. 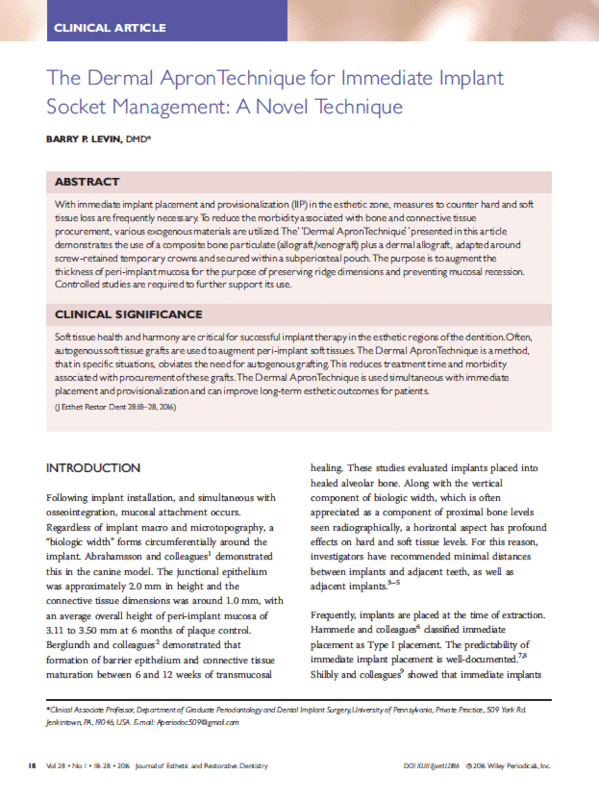 His latest work has been published in the Journal of Esthetic and Restorative Dentistry. 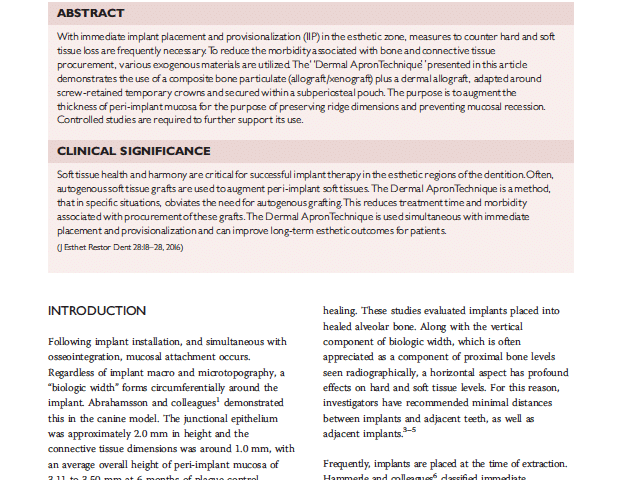 It discusses a novel technique to augment hard and soft tissues around implants placed in the “Esthetic Zone”. Dr. Levin has earned a U.S. trademark for his “Dermal Apron Technique”. This procedure eliminates the need for a gum graft to be taken from the roof of the mouth and enhances long-term esthetic outcomes. Recently, Dr. Levin presented this technique, as well as others, at the Annual Meeting of the Academy of Osseointegration in San Diego, CA. 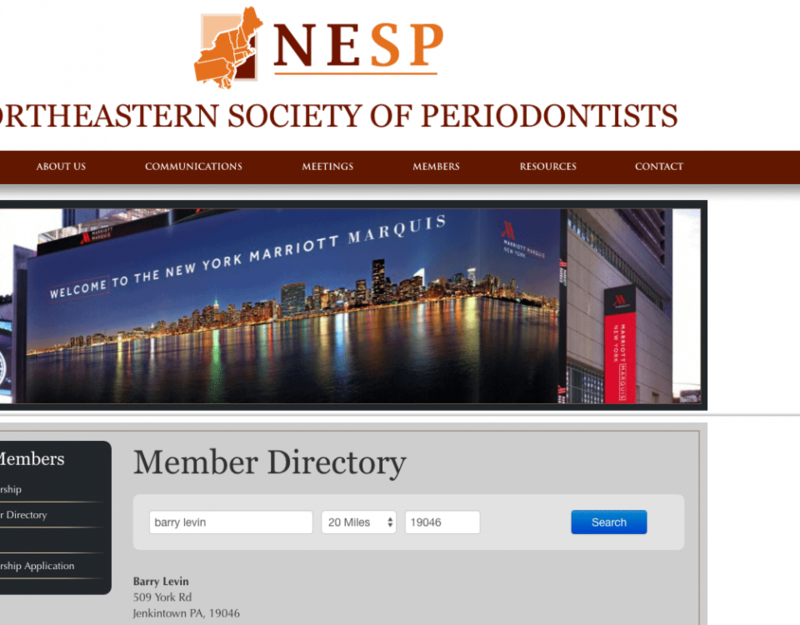 Why Choose the Center for Periodontics & Implant Dentistry? As an award winning faculty member at the University of Pennsylvania and with his extensive research in the world of implant dentistry, Dr. Levin’s work is often published in international journals and has become a trusted source as he lectures on his work all around the globe. Dr. Levin uses the latest proven techniques in his Jenkintown periodontal practice to serve his patients. By using the latest technology in his brand new state-of-the-art facility he is able to provide his patients with better results, faster healing time and an overall more comfortable experience.